power, heated front seats. Tilt & adj. steering wheel, front & rear A/C. Rain activated wiper w/./speed control. Front & rear defogger/defroster. Fog lights. Premium stereo sound system. Cassette, CD Radio. Memory seat & steering wheel setting. Owners manual. Primary use: pleasure. ETC. Must see and drive! Fully loaded. All power adj. FOR SALE. 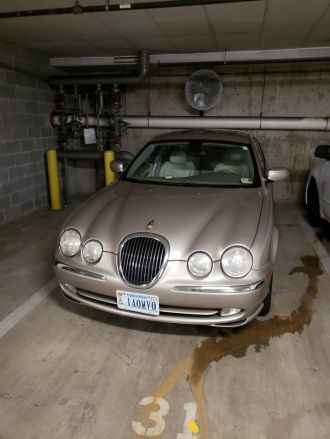 This is a Gold 2000 Jaguar S-Type with White interior, Automatic transmission, Rear-Wheel Drive, and a 6-Cyl. engine. It's in Excellent condition, with 100,650 miles, and located in Arlington, VA.